She was about as angry as any homeowner who had ever called me. “We paid good money for that new boiler,” she continued, “but we still have uneven heat throughout the house, just like we did before. And it sounds like the hammers of hell are pounding on the pipes, just as they did before. What do you think we should do?” I felt her frustration, but I have to admit, my first thought wasn’t about what she should do. I was thinking about what she should have done. You see, the way I figure it, the best time to discuss heating problems is when you’re contracting the job, not after the job is finished. There’s an easy way to avoid the most common heating problems. All it takes is a good checklist, some negotiating skills, and the willingness to shop for the best value rather than the lowest price. Here’s some advice I’d give my best friend if she were shopping for a boiler. Let’s say you have a steam system . . . Walk them through your home and discuss your comfort concerns. If it’s too hot in this room and too cold in that, let the contractor know. If there are gurgling or banging noises in the pipes or radiators, mention them, and ask the contractor to suggest a remedy. Don’t expect a new boiler to magically solve your system-related problems. Explain to the contractor that you’re buying comfort, not just a new boiler, and that you expect the entire system – boiler, pipes and radiators – to work properly when the job is done. At this point, a good heating contractor will most likely explain your options. Don’t be surprised if those options add to the cost of the job. Many steam systems suffer from ailments that have nothing to do with the boiler. When the contractor suggests these changes, ask if he will guarantee results. A good heating contractor will. If he’s not willing to stand behind his work, there’s a good chance he doesn’t know what he’s doing. Call someone else. Don’t let the contractor base the size of your new boiler on the size of your old boiler. He must measure your radiators and analyze their ability to condense steam. If he bases the size of your new boiler solely on the size of your present boiler, he’s discounting the possibility that something may have changed during the past 60 or 70 years. He’s also acknowledging that the original installer was infallible (chances are, that guy wasn’t). If the contractor says, “Well, the old one worked well for years so let’s use the same size,” know that this guy is not someone who pays attention to details. Show him to the door. Also, don’t let the contractor base the size of your new boiler on a heat-loss calculation of your home. 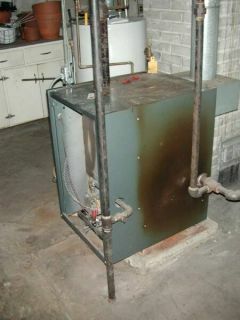 Believe it or not, heat loss calculations mean absolutely nothing when it comes time to replace an old steam boiler. These calculations mean a lot when you’re sizing the steam radiators, but you’re not replacing the radiators, are you? Consider this. Steam is a gas that will eagerly condense on cold metal. The boiler must be able to make enough steam to reach the furthest radiator before all the steam turns to water. In other words, the boiler’s ability to produce steam must match the system’s ability to condense steam. If the boiler is too small, parts of your home will always be cold. You’ll burn lots of fuel. If the boiler is too large, the burner will short-cycle, run inefficiently and the burner parts and controls will wear out long before their time. If the contractor doesn’t take the time to survey and carefully measure your pipes and radiation, he doesn’t understand steam heating. Tell him to have a nice day, and then throw him out. The piping around a modern steam boiler is crucial to the production of “dry” steam (steam that contains no more than 2% water). If the steam is wet, it will condense before it reaches all of your radiators. You’ll wind up with high fuel bills and uncomfortable rooms. Nowadays, most reputable steam boiler manufacturers consider the piping immediately around the boiler to be a part of the boiler. 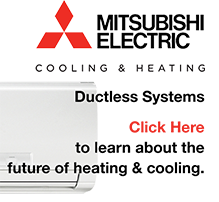 They publish installation booklets showing the contractors how they must install their boilers. If a contractor doesn’t follow the manufacturer’s instructions, the boiler won’t operate efficiently, and there’s a good chance the manufacturer won’t honor their warranty should you have a problem. So, insist on seeing the installation-and-operating manual beforehand. Have the contractor show you the correct near-boiler piping for the unit. And have him include in his contract a clause saying that he will install the boiler in full accordance with those instructions. This alone will scare away heating contractors who don’t know what they’re doing when it comes to old steam systems. Good riddance to those guys! Don’t accept copper tubing for the boiler’s supply piping. Copper expands and contracts much more than steel. Because steam piping can take some odd angles, the expansion of the copper often puts a lot of torque on the soldered joints. That twisting action frequently causes the joints to come undone after a few years. And then you’re on your own. Proper steam piping calls for threaded steel pipe and fittings. The threads allow the steel pipe to twist without coming apart. Copper tubing is the province of the low bidder. If you’re planning to stay a while in your old house, insist on properly installed, threaded steel pipe. Modern high-efficiency boilers sometimes don’t get along well with old chimneys. Make sure you ask every heating contractor who steps into your home about your chimney. This is for your safety and protection. An old chimney may need to be lined with stainless steel to keep the flue gases from condensing inside the chimney. Condensing gases form an acid that can eat through the mortar and cause parts of your chimney to fall apart. This, of course, leads to poor venting and potentially dangerous levels of carbon monoxide in your home. Carbon monoxide is deadly. If the contractor won’t talk about your chimney – if all he cares about is the boiler sale – he is not a professional. Go no further with this person. Steam pipes must be insulated to keep the steam from condensing before it reaches the radiators. In the old days, we used asbestos. Nowadays, we spend a lot of money removing the asbestos, and we rarely replace it. Most folks figure the heat isn’t “lost” because it’s still inside the house. But if the steam is condensing in your basement pipes, it won’t be condensing in your bedroom radiators on the second floor. You’ll be burning lots of fuel and you’ll be miserably cold. If your steam supply pipes are uninsulated, have the contractor include a price for new insulation. Or insulate them yourself. You can work wonders with a few rolls of fiberglass insulation and some duct tape. It may not look pretty, but it works well. Reputable boiler manufacturers include cleaning instructions in their installation-and-operating manuals. The contractor must follow these instructions if your new boiler is to make dry steam. Have the contractor show you these instructions, and have him write on the contract that he will follow them to the letter. Then make sure he does. It takes nearly a full day to properly clean an old steam system. There is no chemical or magic potion I know of that can make decades worth of dirt vanish. Don’t accept shortcuts. Have the contractor install a drain valve in the boiler’s mud leg. The mud leg is the drum at the very bottom of the boiler, the place where sediment will gather. If you don’t insist on this drain valve, you probably won’t get it. Most contractors will leave the drain valve out to save a few bucks, but without it, you won’t have a way to flush sediment from your boiler as the years go by. Dirty boilers have shorter life spans than clean boilers. Get the contractor to inspect your air vents and replace them if necessary. You’ll find these air vents on your radiators (if you have a one-pipe steam system) and near the ends of your mains (on both one- and two-pipe steam system). Good air vents make a dramatic difference in system performance. Even a brand-new boiler will gobble fuel if the air vents are old and clogged. Be prepared to pay extra for the vents. But take some comfort in knowing that this is one of the best investments you can make in your old steam system. Heating contractors buy their equipment from plumbing and heating wholesalers who handle specific brands of boilers. Since the wholesaler extends credit to the contractor, the contractor will usually buy what the wholesaler stocks. Because of this, you may find it difficult to get three or four competitive prices if you base the comparison on a particular boiler. You see, the contractors you speak to may buy from different wholesalers. If you ask for Brand A and the contractors’ wholesalers stock Brands B or C or D, each contractor will try to sway you to the brand he’s used to installing. Rather than try to level the playing field by having them all quote on a certain boiler, do this: Let each contractor quote on what he thinks will best heat your home, but have each contractor guarantee the results in writing. Have them say, for instance, that when they’re finished, your house will heat comfortably, evenly and with no noise or squirting air vents. Some contractors will run for the hills when they realize you’re buying results instead of just a boiler, but you’re better off without those guys anyway. A good contractor will talk to you seriously about your system’s problems and their solution. He’ll most likely suggest things that go beyond a simple boiler replacement. There are people out there who have no problem guaranteeing results. A final note on steam heating. Competent steam contractors generally charge more for a boiler replacement than others, but these guys deliver those wonderful results – increased comfort and substantial fuel savings. They’ll never be the low-bidder, but they’re well worth their price. And please remember that to be proficient at steam heating, a contractor doesn’t have to be 70 or 80 years old. He just has to be someone who’s done his homework well, and who knows how to listen well to your concerns about comfort in your old house. Changing that hot water boiler? Insist that the contractor do an accurate heat loss calculation of your home. Hot water heating is very different from steam heating. With steam, the boiler’s ability to produce steam has to match the system’s ability to condense steam. In a hot water heating system, the heat travels on the water like a passenger on a train. It gets on in the boiler and off in the radiators. The water doesn’t condense along the way as it does in a steam system. It stays liquid throughout the trip. Because of this, the only correct way to size a new hot water boiler is by measuring how much heat your old house will lose on the coldest day of the year. We call this a heat loss calculation. Now, you’re going to learn that many contractors are in a hurry. They’ll use “rules of thumb” to size your new boiler. These methods are usually very conservative. They’re designed that way so they won’t cause a problem for the contractor. The trouble is, you might wind up with a boiler that can heat your home with the windows and doors wide open. And then you’ll have to feed it. Other contractors size boilers by the “Label Method.” They look at the existing boiler and say, “Hey, it’s worked fine for years!” Then they give you the same thing. This makes no sense because whoever sized the old boiler did it long before decent windows and effective insulation came along. Every structural improvement you’ve made to your old house affects its heat loss. Don’t buy more boiler than you need. Insist on accuracy. To do an accurate heat loss calculation the contractor must measure all the walls, windows and doors. It takes an hour or more to size the typical house by the book. Nowadays, many progressive heating contractors use computerized heat loss software that makes the job a snap. But whether it’s done longhand or by computer, ask the contractor to include a copy of his heat-loss calculation with the contract. And as with steam, discuss comfort related issues with the contractor before you give him the job. Here again, let him know if some rooms are too hot while others are too cold. If possible, base the contract on final system performance, rather than on the boiler replacement alone. And be prepared to invest more than the cost of the boiler, if necessary. Remember, you’re not buying a boiler. You’re buying comfort. Be aware that you don’t necessarily have to insulate hot water pipes, unless, of course, they run through areas where the circulating water might freeze. Hot water heating is very different from steam heating. With steam, we’re dealing with a gas that desperately wants to become a liquid. In a hot water heating system, we start with a liquid and end up with a liquid. Remember, the heat rides the flow like a passenger on a train. If some heat gets off in the basement, you’ll still have heat moving to that far radiator up in your bedroom because hot water can’t condense into anything other than what it already is. If the contractor suggests you fill the pipes with antifreeze instead of water, make sure the antifreeze he uses is the type specifically designed for hot water heating systems. Automobile antifreeze is not suitable for a hot water heating system because it can’t take the extreme temperatures you’ll find inside a boiler. And if you go with antifreeze, know that you’ll have to check it from year to year and change it periodically. If you ignore antifreeze it will become corrosive and eat away at the metal parts of your system. If you have an old gravity hot water system and the contractor is installing a new boiler with a circulating pump, make sure he uses a flow-bypass line around your new boiler. This is very important because without the bypass, the water entering the boiler will be too cool. Cold water can crack hot metal. It can also cause the flue gases to condense inside the boiler and munch on the metal. Reputable heating contractors are very aware of this potential problem.The boiler manufacturer specifies the piping arrangement for the bypass. Ask the contractor to show you the manufacturer’s drawing in the installation-and- operating manual before you give him the job. Discuss heat balance with the contractor as well. Old gravity hot water heating systems often do strange things when a contractor adds a circulator. Remember, you’re interested in comfort more than you are in the components of the system. Base your contract on system performance and you’ll be fine. Insist on a good air separator. Every hot water heating system needs one of these important components because when you heat water, air comes out of solution. Without an air separator, the air winds up in your radiators, and you wind up bleeding those radiators every few weeks during the winter. Save yourself a lot of time and aggravation by asking for an air separator. Although they’re not required by law in most states, I think every residential hot-water boiler should have a low-water cutoff switch. All states call for this important safety device on steam boilers, but they haven’t yet gotten around to mandating them for small hot water boilers (they are required on multifamily housing and commercial buildings). Should the water leave the boiler, for whatever reason, a low-water cutoff will shut off the burner. An automatic water feed valve, which is a common component on residential hot water boilers, offers little or no protection against a low-water condition, and can actually add to the problem should the boiler or a pipe spring a leak. If you’re changing your boiler, ask your contractor about low-water cutoffs. The protection they offer is well worth the small additional cost. Have the contractor clean and flush your entire system after he installs the new boiler. Like steam systems, hot water systems work much better when they’re clean. Smart contractors know this and they’ll flush a new system as a matter of course. Ask about cleaning before you sign on the dotted line. I’ve found that heating contractors pay the greatest attention to, and take the greatest care with, knowledgeable consumers. If you show an interest, they’ll take the time to explain the latest technology and they’ll tell you about the newest products. I know of no heating contractor who is looking for trouble. The seeds of most problems get planted with bad communication. So take the time to discuss your comfort concerns with your contractor. Ask if the new product you’re planning to buy – be it a boiler, a new radiator or whatever – will solve your comfort-related problems. If he assures you it will, he should have no problem basing his contract on the results. Air Separator: We use these on hot water heating systems to scrub air bubbles out of flowing water. There are several types available and the more expensive ones work better than the cheaper ones. The air separator belongs on the main supply pipe where the water is hottest. Aquastat: This electrical control is a component on every hot water boiler. Its job is to limit the water temperature to a preset high point. Some aquastats also keep the circulating pump from starting until the boiler reaches a minimum temperature. Automatic water feeder (for steam systems): This optional device, which is widely used on steam boilers, will maintain a safe, minimum water line in the boiler. It’s a back-up safety device for the low-water cutoff. Don’t think of an automatic water feeder as a convenience item. You still need to check you boiler’s water line regularly. Backflow preventer: Used on hot water boilers, backflow preventers keep boiler water from flowing backwards into the public water supply should a water main break. In many states, backflow preventers are required by law. Boiler: This is the vessel that holds the water. Steam boilers and hot water boilers are very similar in appearance. The main difference lies in the water content and the controls. If it contains water, don’t call it a furnace. Burner: The burner is the device that makes the fire inside the boiler. Burners run on natural gas, propane and fuel oil. They need to be cleaned periodically and tuned using specialized instruments. Circulator: Like the motor on a Ferris wheel, the circulator in a hot water heating system turns the water around and around. The heat moves on this flow like a passenger on a train. It gets on in the boiler and off in your radiators. Compression Tank: When you heat water it will expand. Since a hot water heating system is closed to the atmosphere, we have to give that expanding water a place to go. That’s the job of the compression tank. You’ll almost always find the tank hanging around near the boiler, but if you have an old gravity hot water system, look in the attic. When tanks are in the attic (with an overflow pipe that runs out onto the roof), we call them “expansion” tanks. But by any name, the tank does the same thing. Feed valve: This is the valve that puts the water in your hot water heating system. Sometimes called a pressure-reducing valve or, simply, a PRV, this valve’s job is to lift water to the highest point in the system and to place that high point under a pressure of about 3 psi. After the feed valve fills it, the circulator turns it. Low-water cutoff: Low-water cutoffs have one job to do. Should the boiler lose water, for whatever reason, this device will shut off the power to the burner before the situation can become dangerous. Every boiler should have a low-water cutoff. It’s there for your safety. Tridicator gauge: You’ll find this gauge on your hot water boiler. It shows you three things: the water temperature, the boiler pressure, and the height of the water in the system. A service contractor will use the tridicator gauge while troubleshooting your system. Relay: A relay is a sort of electrical traffic cop for a hot water heating system. It relays signals between the room thermostat, the circulator, the aquastat and the burner, and gets all these important components working together.